This one-of-a-kind book applies the Standards, written for K-12 classes, to the college level. 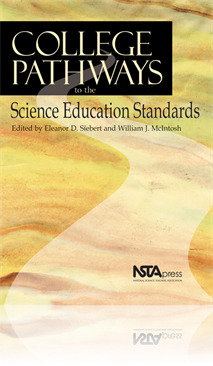 Designed for postsecondary science content teachers, science educators, and administrators, this book shows how to implement all six areas of the Standards on campus--teaching, professional development, assessment, science content, science education programs, and science education systems. To bring the topic to life, 40 "From the Field' vignettes give concrete examples of how higher education faculty and administrators have already used the Standards to make classrooms more student-centered and inquiry-based. This book is very thought provoking and useful. We need to change the way we teach science and this book is a great resource. I recommend it to my graduate students and science teachers.